Safe welding practices are universally applicable. Welding exposes all welders to similar risks. Most of the welding safety practices are often common sense, such as wearing the appropriate attire. However, it is crucial to know the best tips to ensure your safety and anyone else around your welding space. Sparks can cause a fire to ignite, leading to serious dangers and injuries. Whether you are welding alone or you have an assistant, make sure you read the user manual of your equipment as most accidents occur due to ignorance. 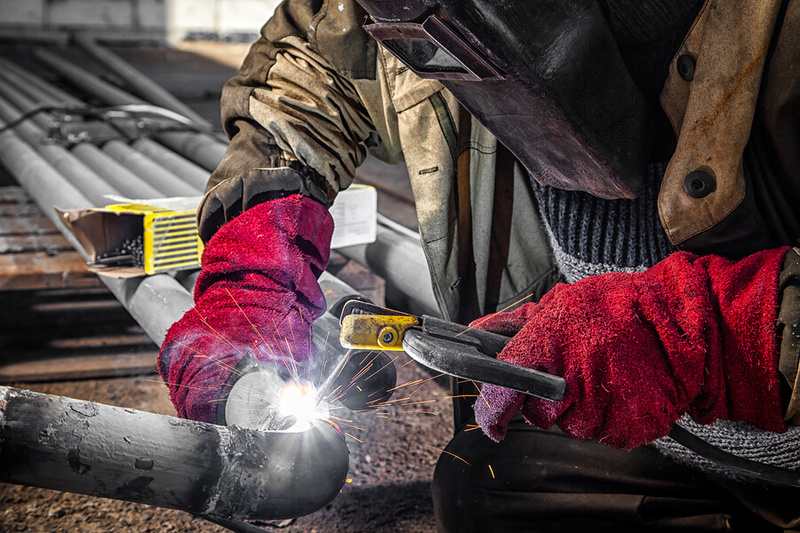 This article will lead you through four safe welding tips to protect you as you work. Read the Welders Book. A welders operating manual has all the safety information you need. The book contains additional information about the usage of any tool or equipment. Make sure you are familiar with any machine before you use it on the field. If you lose or damage your manual, you can contact the manufacturer for a replacement. Most manufacturers will also provide the user manual online. Clothing. Cover any exposed skin since you do not want to experience any hazardous effects of ultraviolet and infrared rays. In addition, sparks may catch in open pockets, or in a shirt that is not entirely buttoned. These sparks can fly unnoticed since they are everywhere. Always button your shirt collar, cuffs, and pockets to avoid catching sparks. Avoid keeping matches or lighters in your pocket while you are welding. One spark can cause severe harm if lands on a butane lighter. Wear top boots to protect your feet. Leather or rubber shoes will also ensure you are safe. Do not forget the helmet since you do not want to damage your eyes. Experts recommend the auto-darkening helmets for safety. Ventilation. Smoke and fumes emitted as you weld are harmful to your health. If you work in confined space such as your garage, toxic fumes or shielding gasses may replace safe air. Use an exhaust hood to remove the fumes from the space and ensure availability of breathable air. If you do not have an exhaust hood, move to an open area or have one installed. You can also use downdraft tables and benchtop fume extractors, especially if you are a small operator. Clutter. Make sure you remove clutter from your working space. Most welders leave spare metals and materials lying around, but it is vital to remove stuff out of the way. Clutter will overcrowd your working area, and you may trip over something and injure yourself. Without clutter, you will also increase your welding speed since you will quickly locate the tools you need. Remove any fire hazard such as papers or loose clothes. Group or hide your wires to prevent them from tangling. Remember to keep yourself and your working space dry. Water conducts electricity so do not work in a wet or rainy area. Clean even the slightest amount of water you may spot. When welding, safety is an ingrained part of your professional. You can increase productivity and stay safe at the same time.